1. God chose to start the Bible—his whole story—with “In the beginning, God created the heaven and the earth” (Genesis 1:1). Why do you think it is important to start this way? 2. In Luke 19:40, Jesus said that if we don’t praise God, the rocks themselves will cry out. And they do! But not only the rocks! The sunset, the trees, a fox family, and a robin’s song all praise and glorify God. As you listen to today’s episode, think of something in nature that you have seen that pointed to God, the creator. 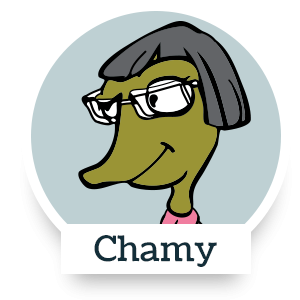 In this episode Chamy looks for logical proof that God exists. Professor Peabody finds it by applying God’s scientific laws to creation. In Romans 1:19-20 Paul explains how creation speaks to all people. “They know everything that can be known about God, because God has shown it all to them. God’s eternal power and character cannot be seen. But from the beginning of creation, God has shown what these are like by all he has made. That’s why those people don’t have any excuse.” What can we learn about God’s power and divine nature from his creation? Our God is a God who loves diversity, complexity, and creativity. When we study the plants, rocks, animals, sea creatures, insects, the skies and beyond, and especially people and their intelligence and capabilities, we can’t help but be awestruck by God’s creation. Want to dig deeper and learn more about God’s awesome creation? Check out Psalm 139:14, Psalm 8, and Psalm 19:1-4. Where did Chamy find Julia and Lucille? What is Julia’s and Lucille’s science fair project? They researched the effects of prayer on a person’s health. What does the Pretzel Guy give to Spike to help Spike meet the professor? Where do the children meet Professor Simon J. Peabody? 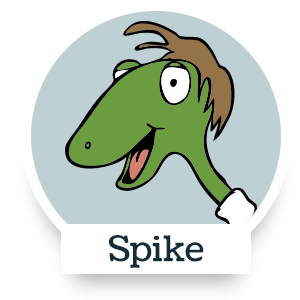 Why is the professor concerned about Spike’s experiment? He’s afraid that lye might be mishandled and cause an explosion. Get outside! God’s fingerprints are not just in stars and universes, they are on small things too. Take a walk outside and find wonderfully-created things that can fit in your hand. Bring a magnifying glass, if you have one. Look for patterns and beauty in leaves, sticks, rocks, insects, flowers, and other small places. Praise God for his tiny masterpieces!